1) Please e-mail me with your request first. or cash only. Checks and non US currency will be returned. SASE requests are available to US residents only. 3) Turnaround time is approx. 4-6 weeks. tapes lost or damaged in the mail. 4) I will be getting each Weiss LD as they come out each month. 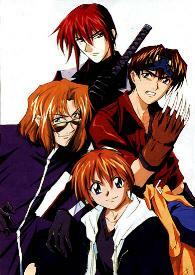 There are 8 volumes that I know of so far. 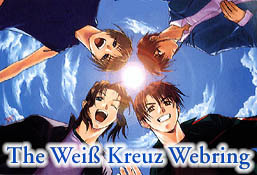 This The Wei� Kreuz Webring site owned by Hikaru-chan.